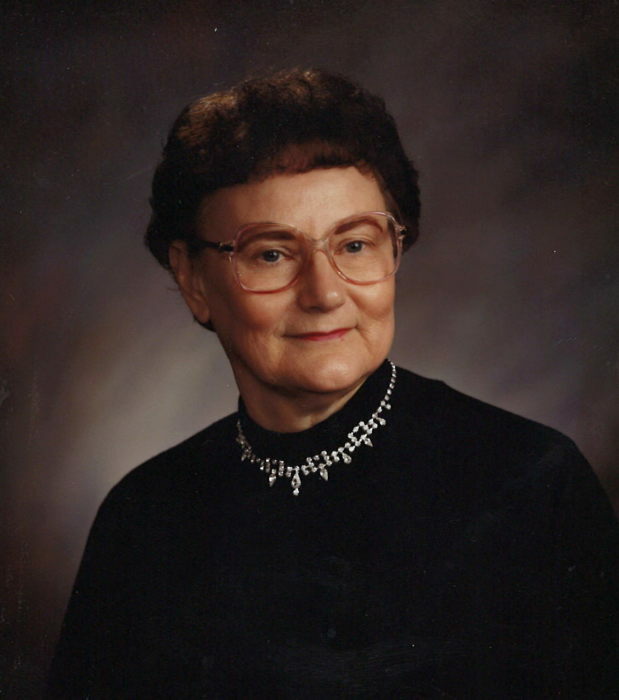 Ramona D. Carrington, age 90, of Johnston formerly of Moville, passed away on Sunday, April 14, 2019 at Brio of Johnston. A funeral service will be held on Saturday, April 20, 2019 at 10:00 AM at the Rock Branch United Methodist Church of Correctionville with Pastor Daniel Bjokne officiating. Burial will be at the Fairfield Cemetery (Rock Branch) of Correctionville. A visitation will be held on Friday, April 19, 2019 from 5:00 PM - 7:00 PM with a prayer service at 7:00 PM at the Nicklas D. Jensen Funeral Home of Moville. Ramona D. Carrington was born September 7, 1928, the daughter of Coy and Eva Knapp at Tyler, Minnesota. The family moved to Iowa when Ramona was three. She attended Moville Public School, two years in rural school. She graduated from Moville High School. She attended Morningside College for a short time. Ramona taught rural school for two years and at the Washta Public School for two years. She was a substitute teacher at Woodbury Central for 12 years. Ramona was united in marriage to Duane “Bud” Carrington on August 27, 1950 at the Federated Church in Moville. To this union three sons were born. She and Bud lived on a farm until 1999 when they moved into Moville. She was active at Rock Branch United Methodist Church where she was a member. She loved music and dance and belonged to the Elderbury Dance Group. She also enjoyed playing cards and golfing. She is survived by her sons, Ron and wife Cheryl of Allentown, PA, Don and Julé of Ankeny, IA and Ken of Anthon, IA; four grandchildren, Kate (Joel) Metheny, Maggie (Josh) Franke, Cory (Nicole) Carrington, Kelly (Adam) Schornack; and two great-grandchildren, Lydia and Madi Metheny. Ramona is preceded in death by her parents, Eva and Coy Knapp; husband, Bud and brother, Ralph Knapp.